If you like Italian fare, then you'll love Cal Mare. Located at 131 La Cienege Blvd, Cal Mare offers some of the best seafood dishes around. Its menu includes pacific oysters, Nantucket bay scallops, yellowfin tuna, and Pacific amberjack. You'll also find gourmet brick oven pizza and handmade pasta on the menu. What's more, Cal Mare has an amazing happy hour that's from 4 to 6 pm daily. Happy hour items include oven-roasted market vegetables with lemon ricotta cheese and fried cauliflower with sea urchin. Looking for unusual cuisine that's a cross between traditional and avante garde? Then look no further -- ink.well dishes out unique takes on traditional and international fares. Nestled on 826 N. La Cienega Blvd, ink.well offers something for everyone, including vegetarian options, seafood, meat and poultry, and an impressive cocktail menu. Vegetarians should check out the cauliflower shawarma, egg yolk gnocchi, and kale salad. Seafood lovers will enjoy the bigeye tuna tartare, the black cod served with potatoes, and the king salmon marinated in butternut bbq sauce. Do you want to expand your culinary horizons? Then check out Rosaliné. It's home to Peruvian fine dining. 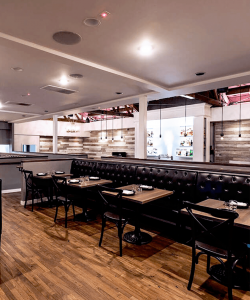 Located in West Hollywood, Rosaliné's menu is extensive and impressive. Try the arroz con pollo that consists of organic chicken breast, cilantro beer rice, and feta sauce. Or order the costillas, which contains slow-cooked barbecue short ribs with grilled figs and apple coleslaw. Whatever you do, don't forget the dessert. Rosaliné offers Peruvian cake and coffee flan. In search of the perfect pizza? Then look no further -- Pizzana dishes up some of the best Neapolitan pizza in town. This gem, hidden on 11712 San Vincente Blvd, creates pizza using a unique, labor-intensive process. The pizza dough is prepared using imported organic Italian flours, and it's allowed to ferment for 48 hours. 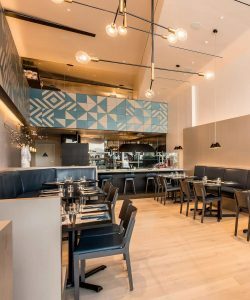 Pizzas include the classic margherita, the neo margherita, and bianca as well as more creative offerings that change daily. Pizzana also serves appetizers and salads. Located at 923 Forest Ave, X'tiosu Kitchen serves Mexican and Mediterranean fusion food. If you're looking for more casual dining, X'tiosu Kitchen provides order-at-the-window dishes, where you can sit down outside to enjoy them. 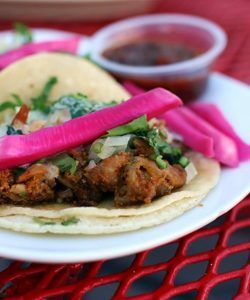 Menu items feature homemade black bean hummus, chicken shawarma tacos, and falafel burritos. Craving more of a laidback international surfer vibe? Then Little Ruby is right up your alley! 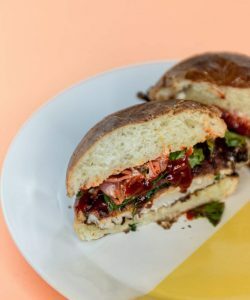 Located at 109 Santa Monica Blvd in neighboring Santa Monica, Little Ruby is an Australian style cafe that features healthy salads and pastas as well as mouthwatering burgers and unique breakfast items. Salads include chicken avocado, pumpkin, and quinoa. 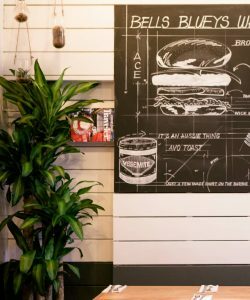 You'll find interesting takes on traditional burgers, such as "whaleys," which consists of a ground beef patty with tomato, lettuce, beet, pineapple, fried egg, and ketchup. Delicious breakfast items you should try are the vegemite toast, green eggs bowl, and ricotta hotcakes. 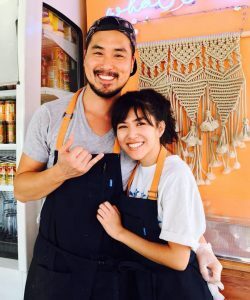 If you're looking for something off the beaten path, then check out Broken Mouth -- it dishes up Hawaiian-Asian fusion food. 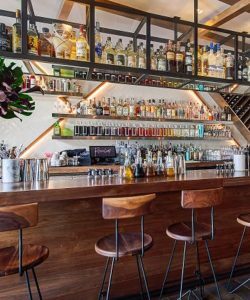 Located at 231 East 9th Street, Broken Mouth not only serves brunch all day long, it also has gourmet fritters. Some unique menu items include shrimp fritters served with purple rice and potato-mac salad, spam musubi, cucumber kimchi, and bread pudding. 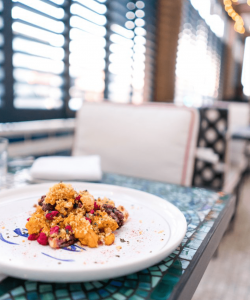 There's no doubt about it -- Los Angeles has a vibrant, constantly changing food scene, and that's part of why it's such a great place to visit and live. Begin the year in style by checking out one of the many new trendy restaurants. Your taste buds won't be disappointed! 1. "The 15 Hottest Restaurants in LA Right Now," Eater Los Angeles, January 5, 2018. 2. "The LA Hit List: The Best New Restaurants in Los Angeles," The Infatuation, n.d.
3. "Where Hollywood Eats: L.A.'s Hottest Restaurants Right Now," Hollywood Reporter, December 20, 2017.